Using fresh herbs can make a huge difference in almost any dish, but they're not always available everywhere. Depending on where you live, you can't always get them during the colder months. Personally, the problem I run into the most is not being able to use fresh herbs before they go bad. Herbs like cilantro and parsley are much easier to use up because you can throw them in a lot of different things, but less commonly used ones like tarragon or sage often end up being forgotten and thrown away. Even if you store them properly, it doesn't do much good if you can't use them all in time. Whether you grow them yourself or buy them from the market, next time you find yourself with an overabundance of fresh herbs, don't throw them out! It's super easy to dry them yourself so they last for months, and they're handy to have around for the times when you can't get hold of fresh ones. There are a few different ways to preserve herbs to use later. 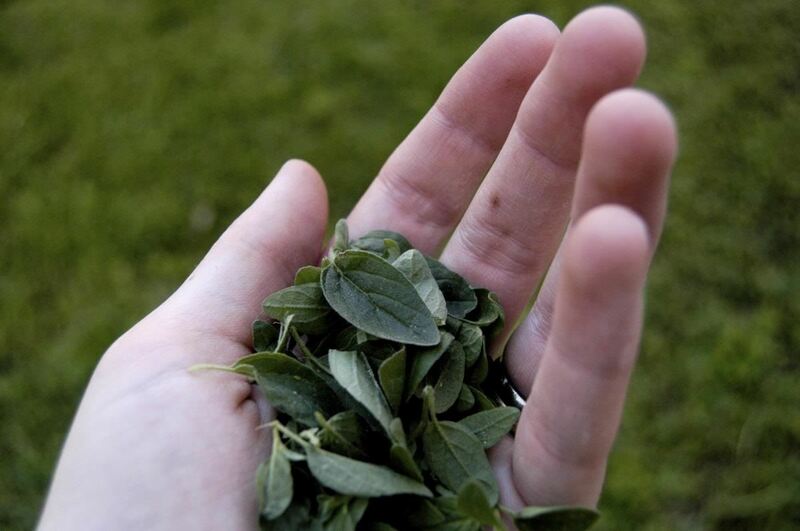 Each method works best with certain types of herbs, but any of them will do if you're in a pinch. The process is really easy, but it does take some time. 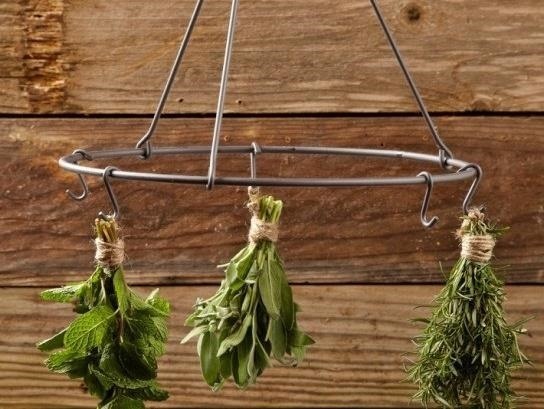 All you have to do is thoroughly wash the herbs with water, then lay them out on a towel to dry. Once dry, make bundles and tie the stems together with kitchen twine (or whatever type of string you have). Hang them near a window that gets plenty of sunlight for 5 to 7 days. You'll know they're done when they're crisp and crumble easily. How long it takes will depend on the type of herbs you're drying and will vary from microwave to microwave. It's best to start with small amounts until you figure out the time, so if you overdo it you won't ruin the whole bunch. Spread the herbs out in one layer on a plate between two paper towels. Microwave on high for 20 seconds, then pull them out and check to see how they're doing. The paper towel should be moist from evaporating water, and the herbs will be dry and crumbly when they're done. If they need more time, repeat the process until the herbs are completely dry. Make sure to keep a close eye on them. More delicate herbs may catch fire if you leave them in the microwave for too long. Check out this guide on Grub Street for more details and step-by-step instructions. 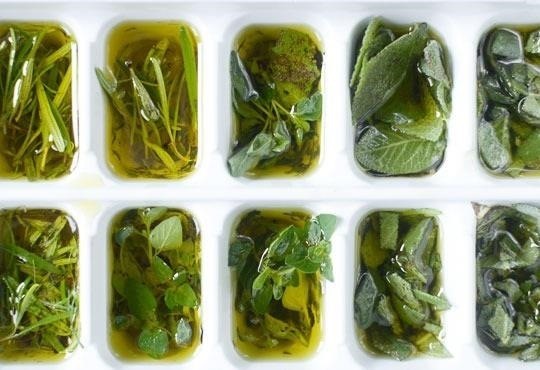 There are three ways to freeze herbs. The first and easiest is to lay them flat on a cookie sheet and place in the freezer. When they're completely frozen, store them in an airtight container in the freezer. 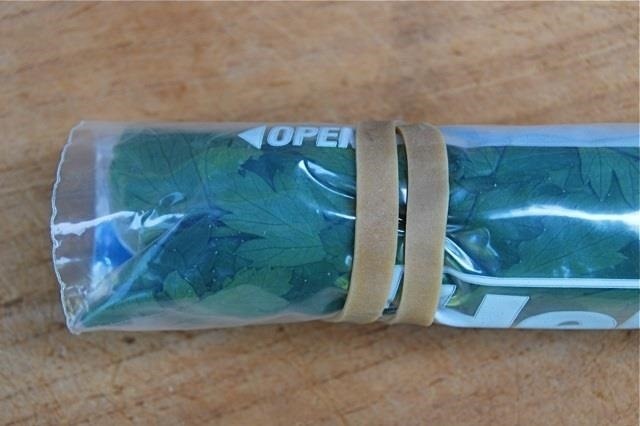 Another simple method is to place the herbs flat in a large zip-top bag, roll it up into a log shape, and hold it tight with rubber bands. When you're ready to use the herbs, just slice some off from the end. The third method is to chop the herbs and freeze them in oil. It works best if you use ice cube trays because then they're already pre-portioned when you're ready to use them. For more details on how to freeze and use these herby ice cubes, head over to The Kitchn. How do you preserve or dry fresh herbs to use later? Let us know in the comments below.